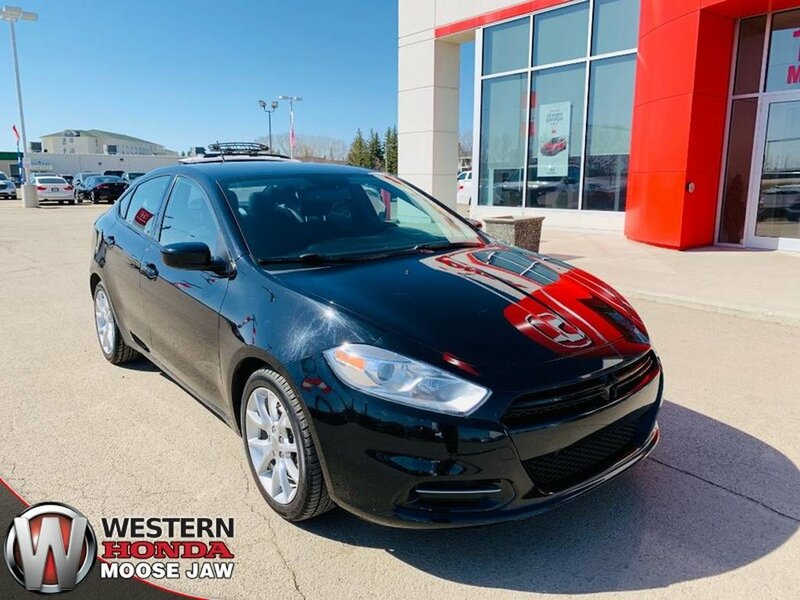 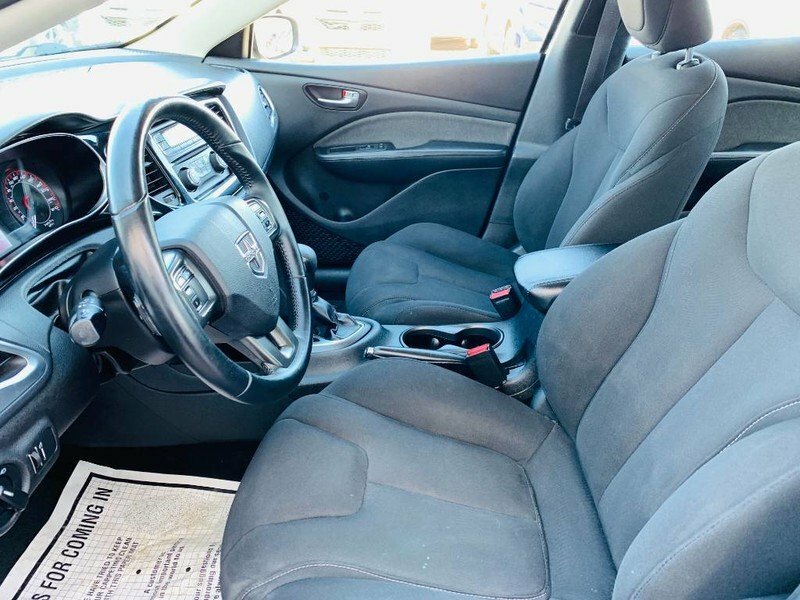 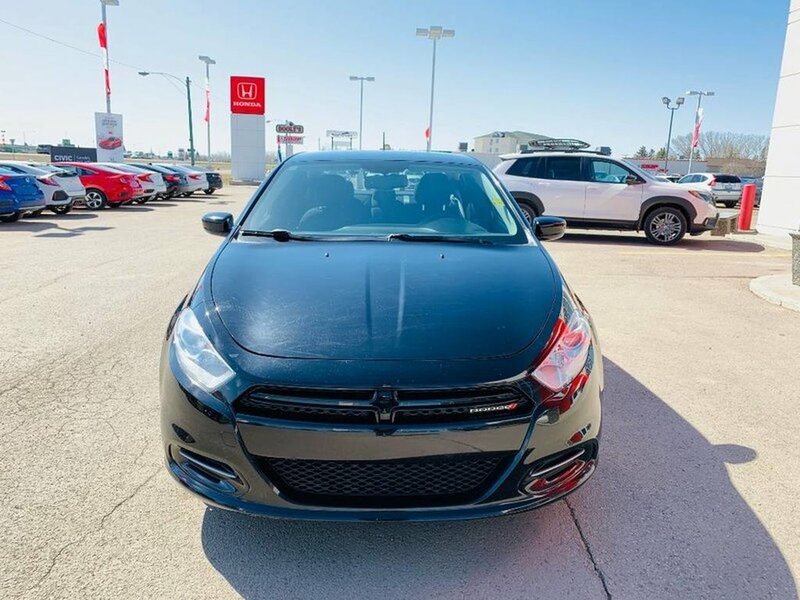 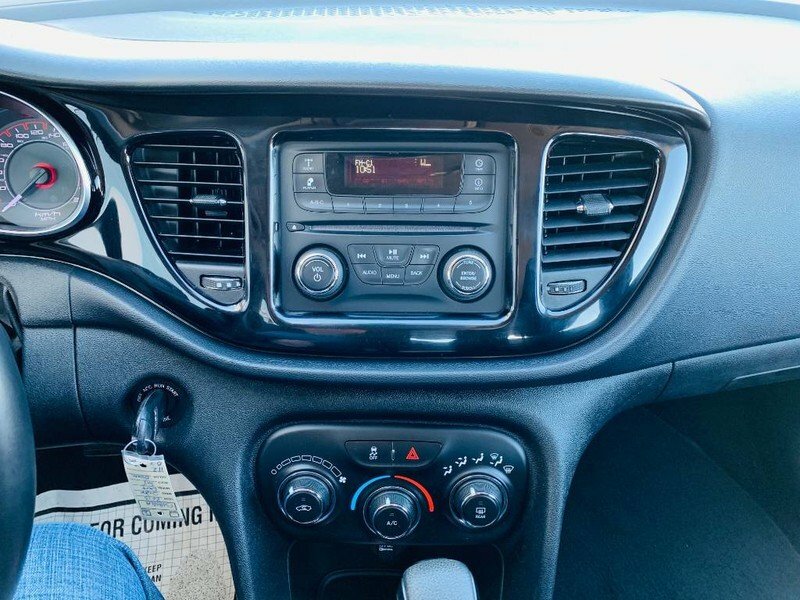 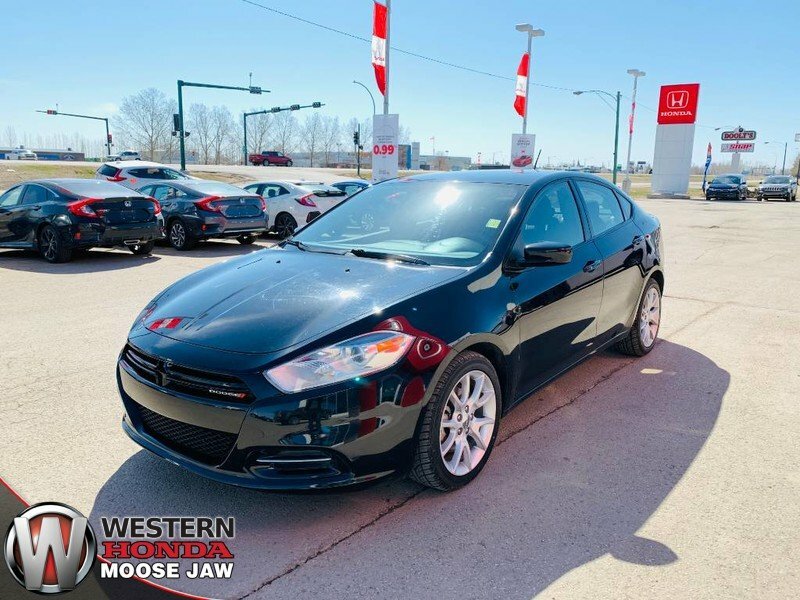 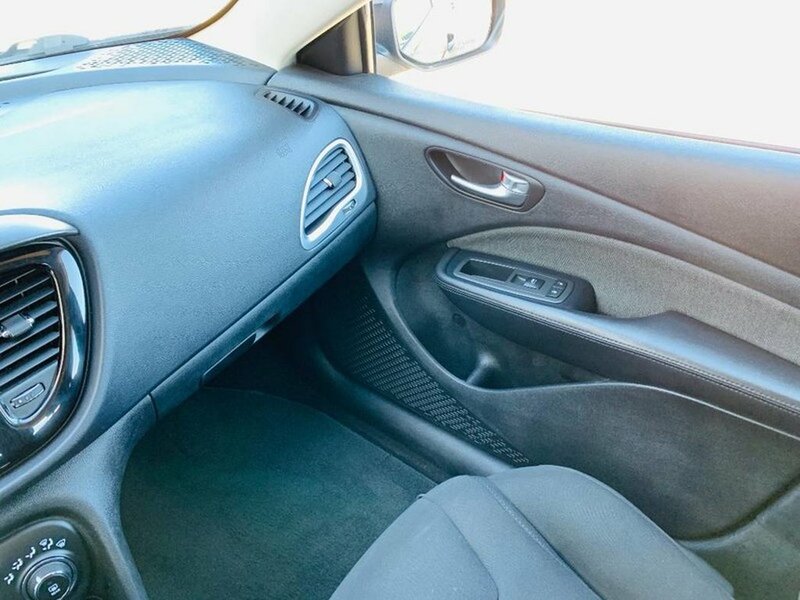 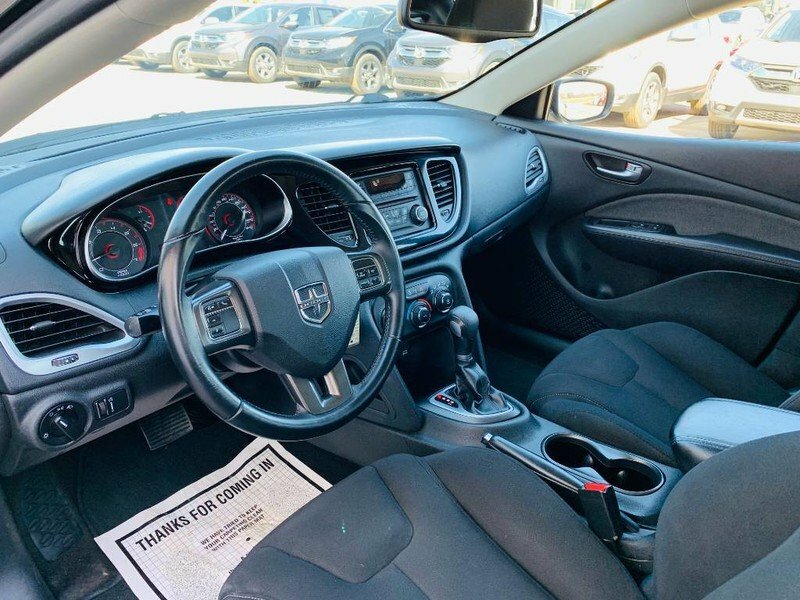 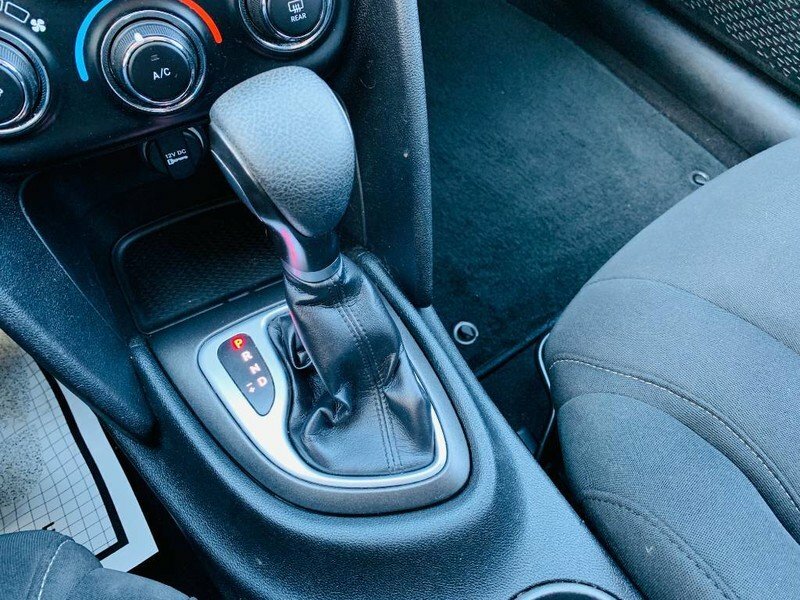 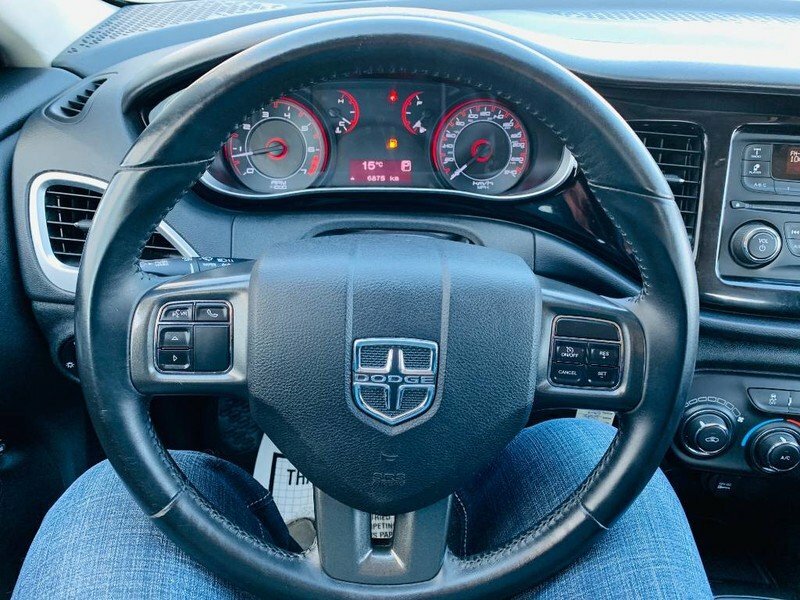 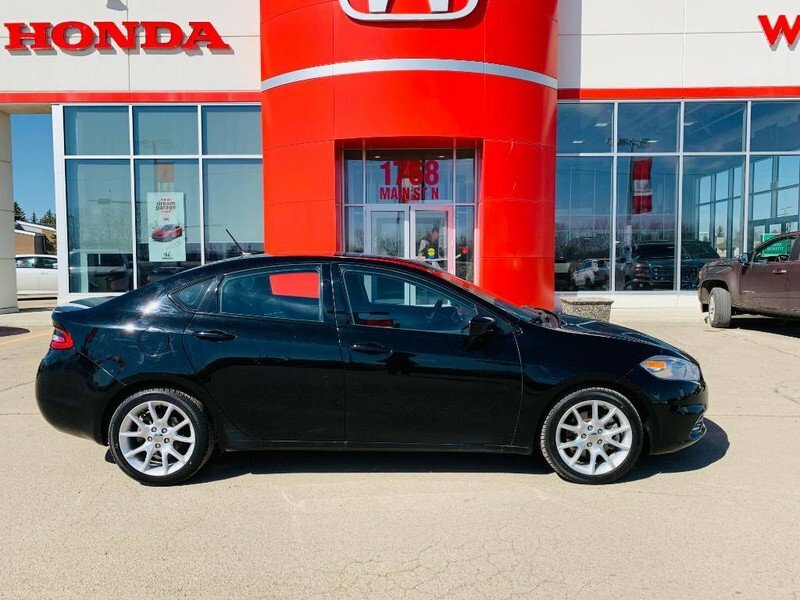 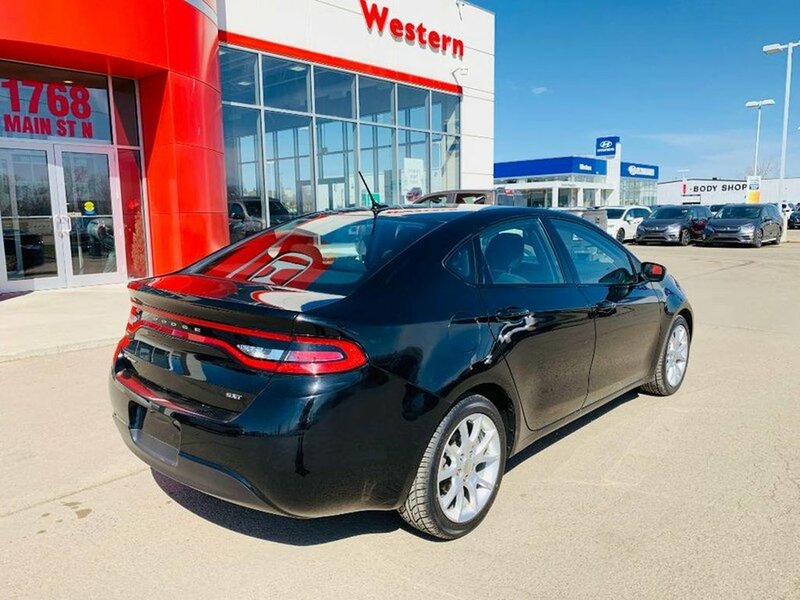 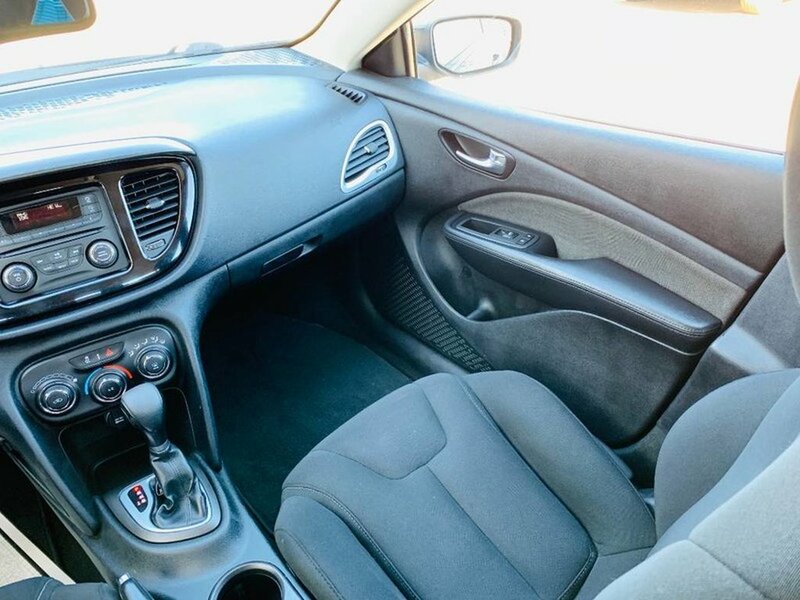 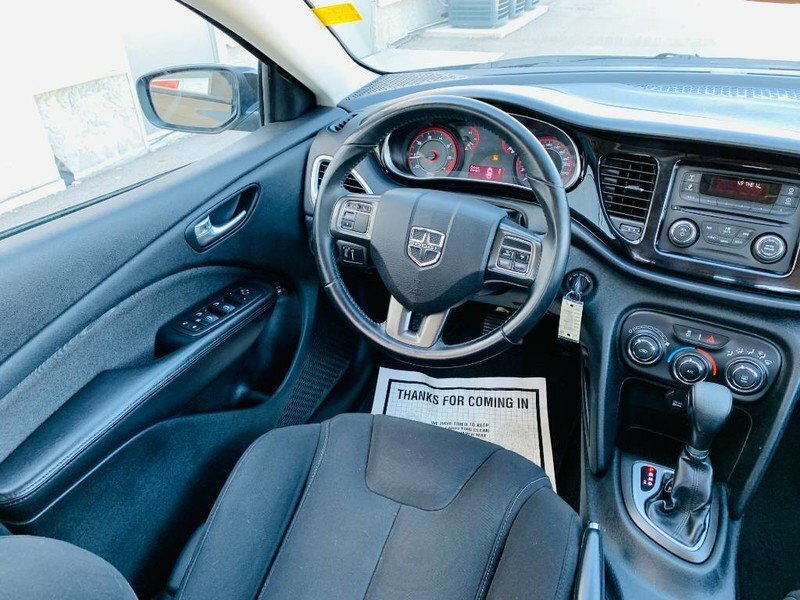 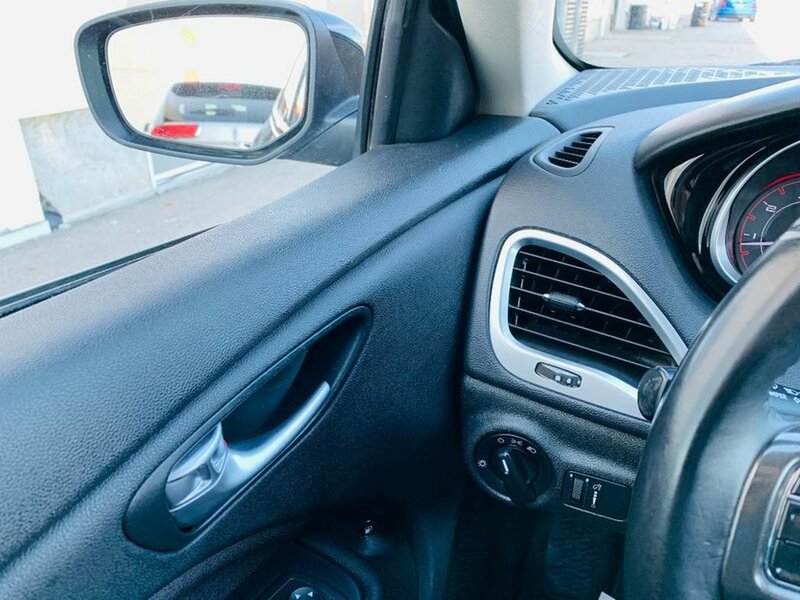 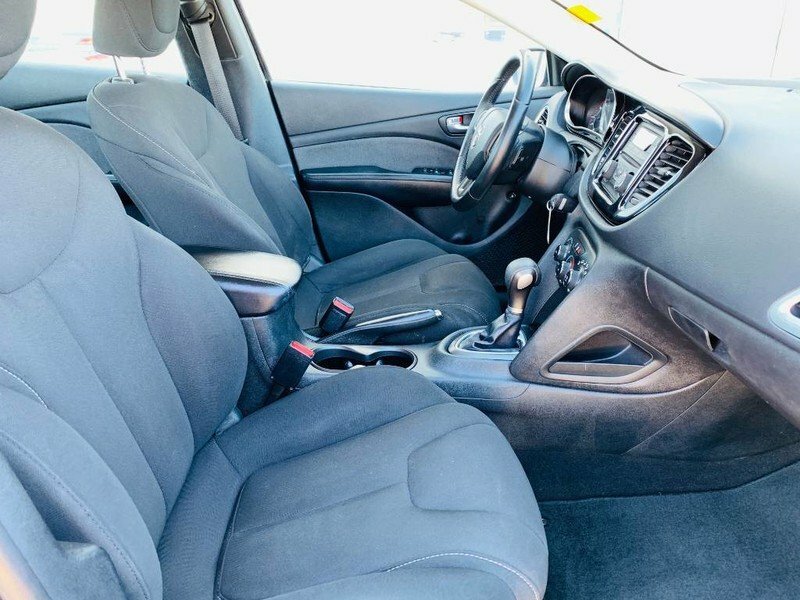 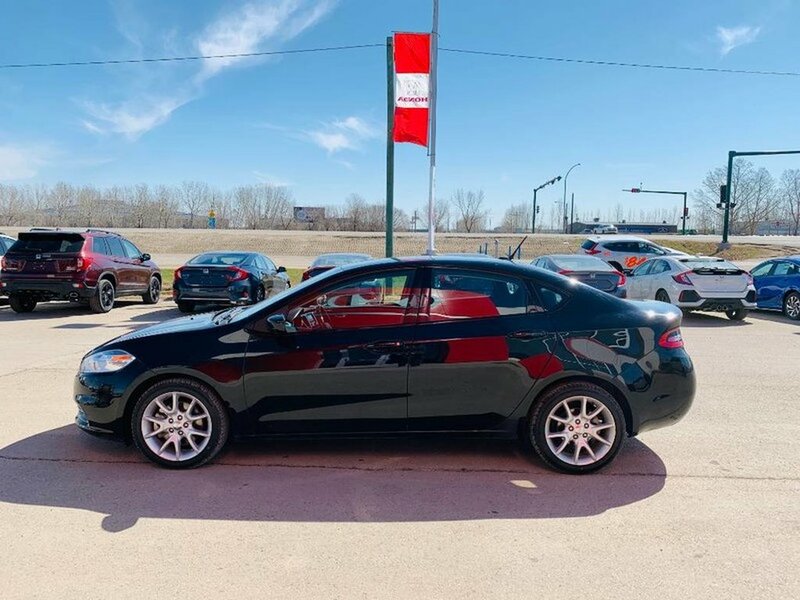 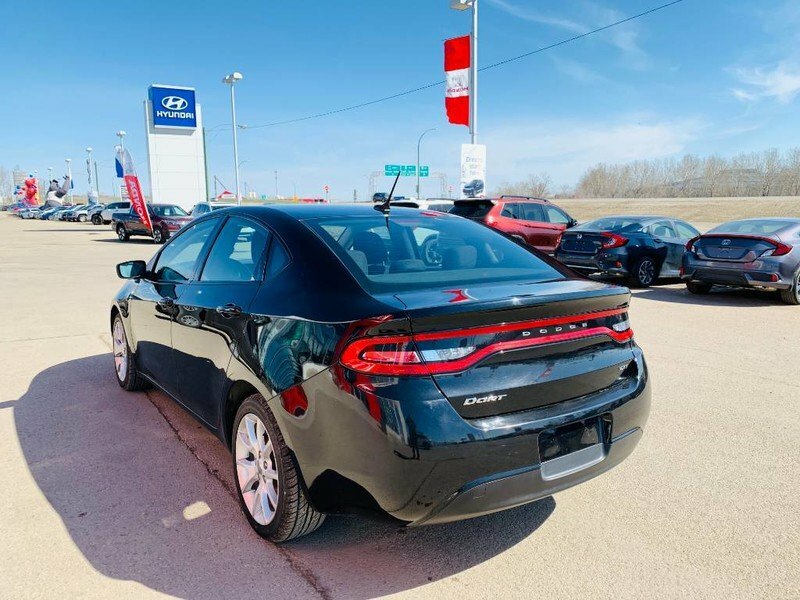 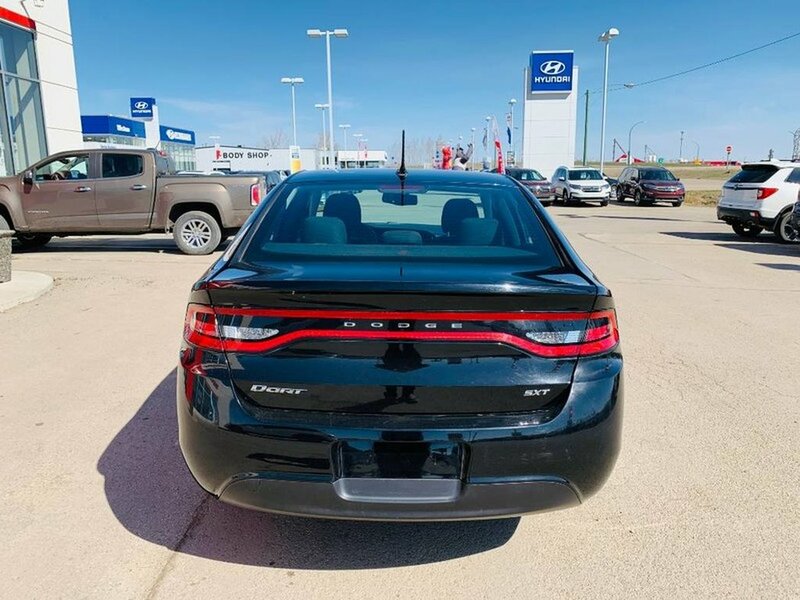 This local 2013 Dodge Dart is a sporty compact sedan. 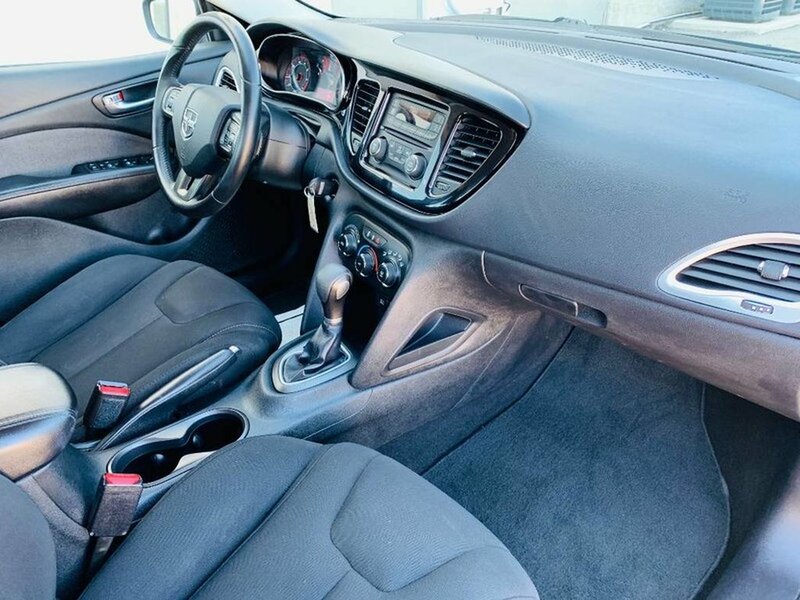 The “Pitch Black” exterior is in good condition paired with a black cloth interior. The 2.0L engine is peppy with a great exhaust note but also wont break the bank at the pump. 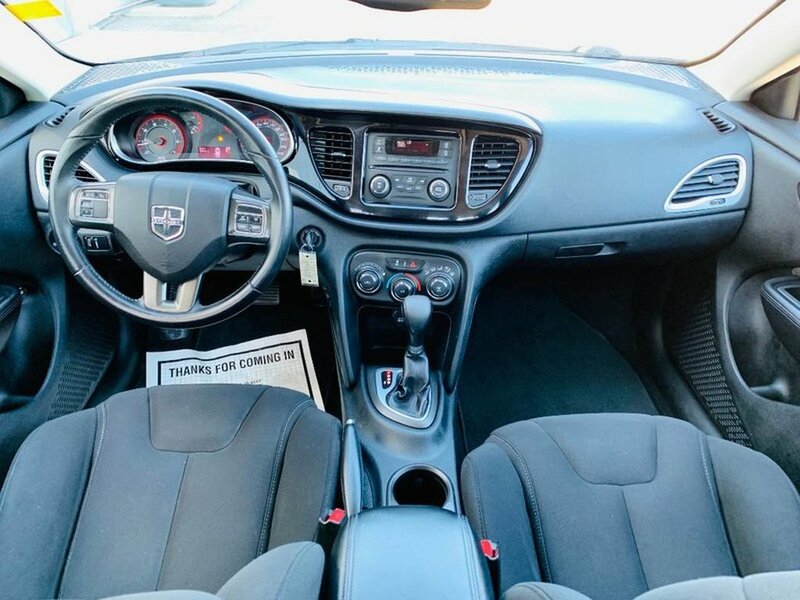 Features on this Dart include; manual six-way driver and front passenger seats, driver’s height-adjustable seat, rear folding seat, six speaker AM/FM/CD/MP3 stereo with auxiliary jack, satin silver interior accents, air filtering, solar control glass, tilt/telescopic steering column, power windows with driver one-touch down, power locks, 10 air bags, active front headrests, electronic stability control, hill start assist, brake lock differential, traction control, electronic roll mitigation, trailer sway damping, four-wheel disc brakes with ABS, LATCH, tire pressure monitoring, keyless entry with panic alarm, body colour crosshair grille and surround, LED stop/turn taillights, and body colour power mirrors. 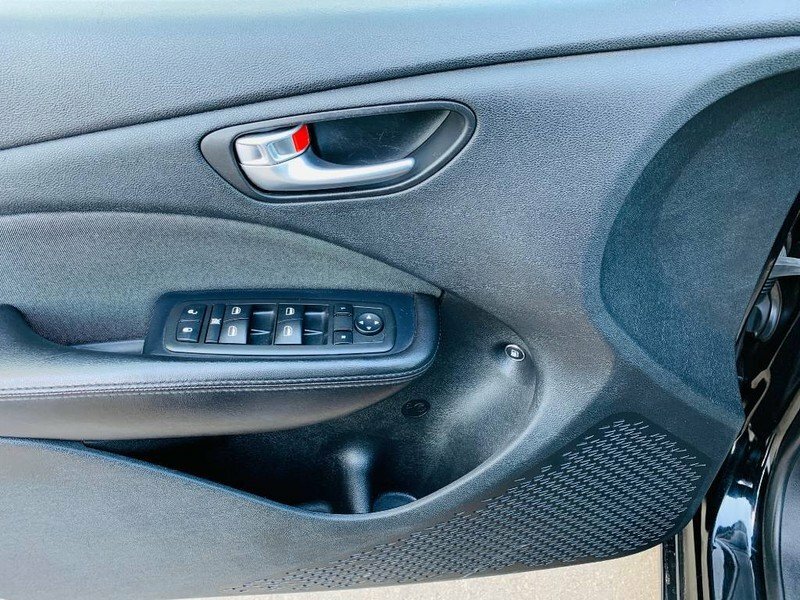 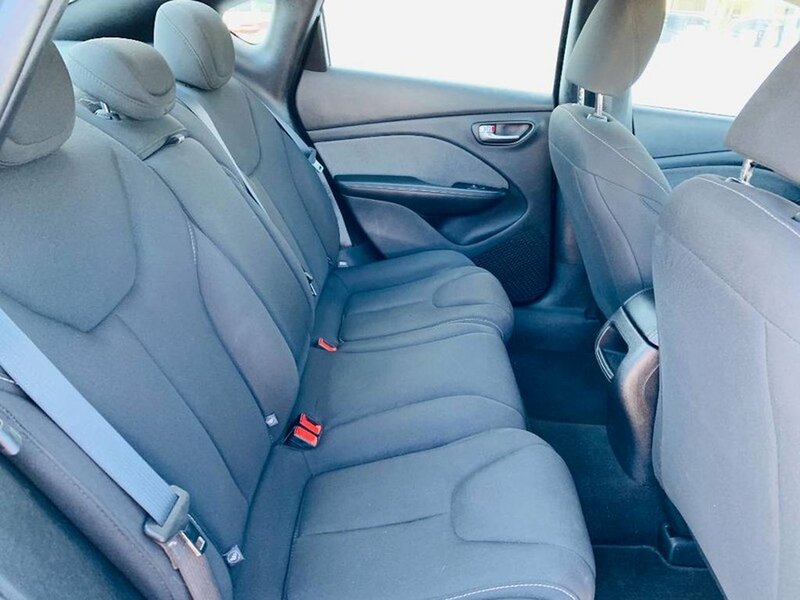 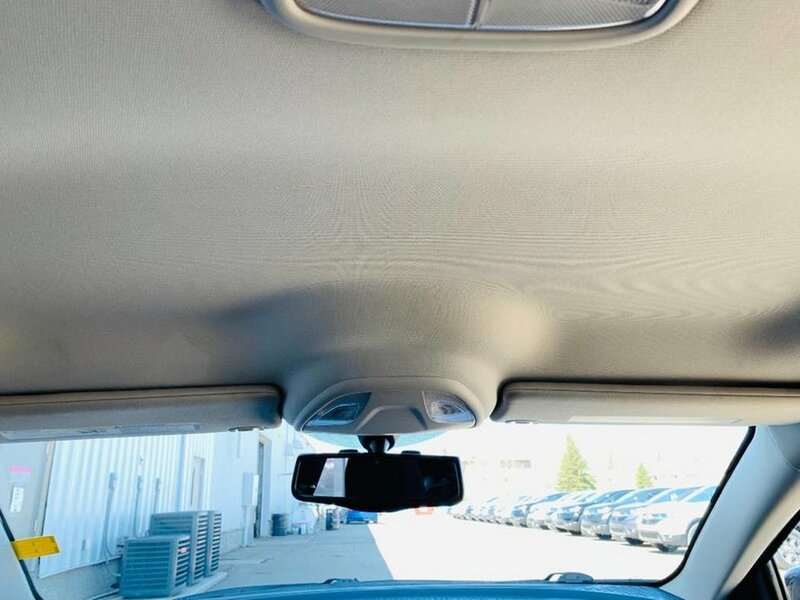 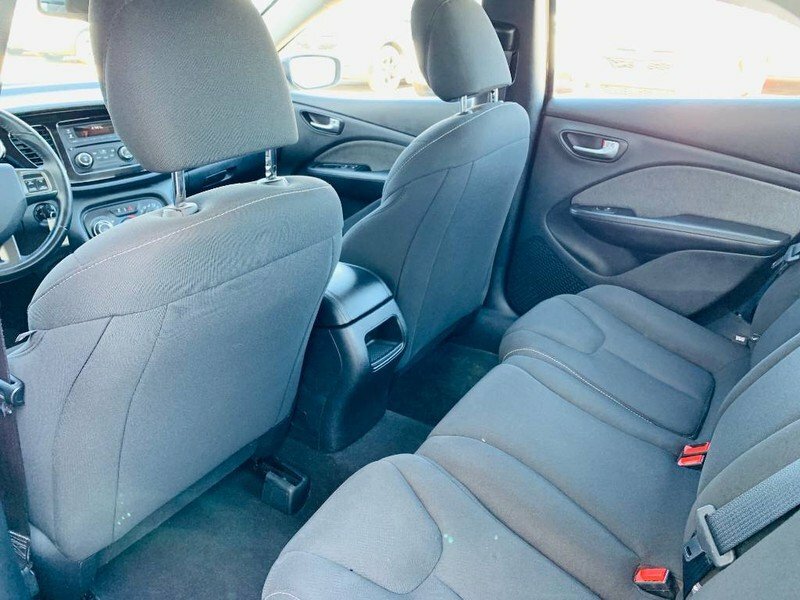 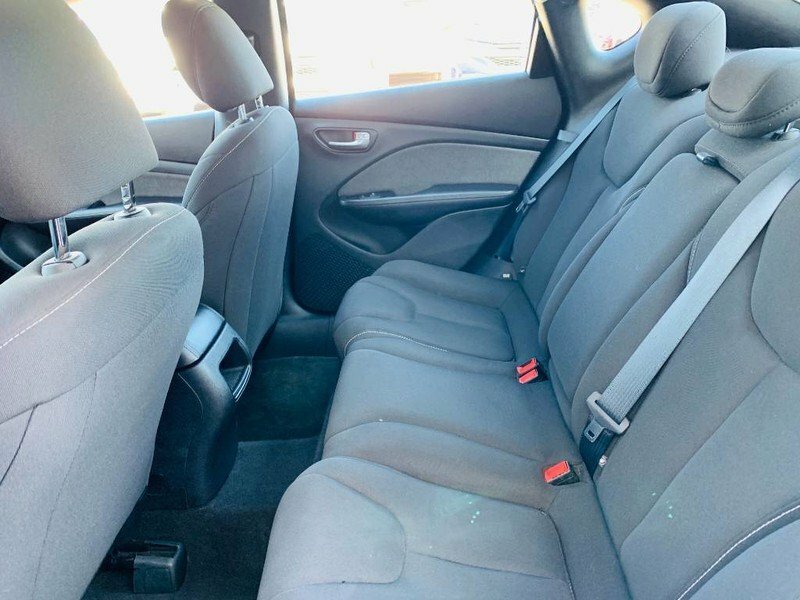 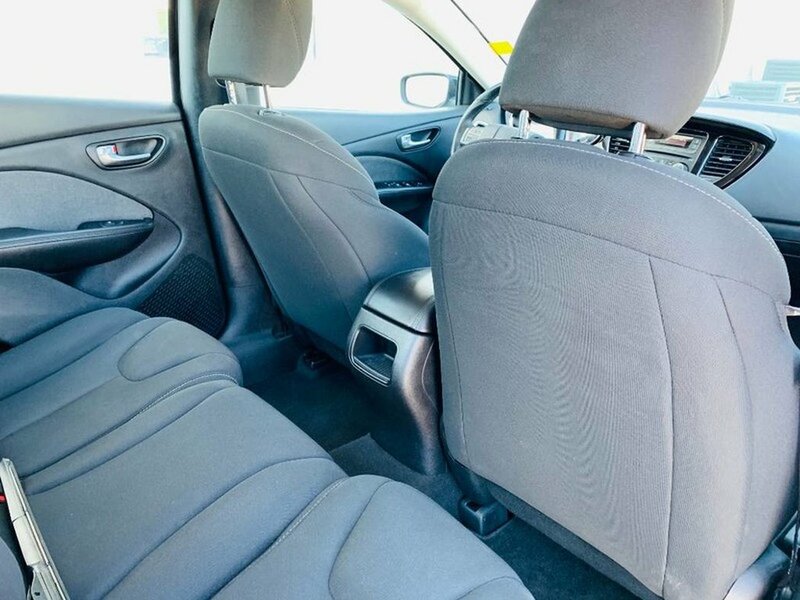 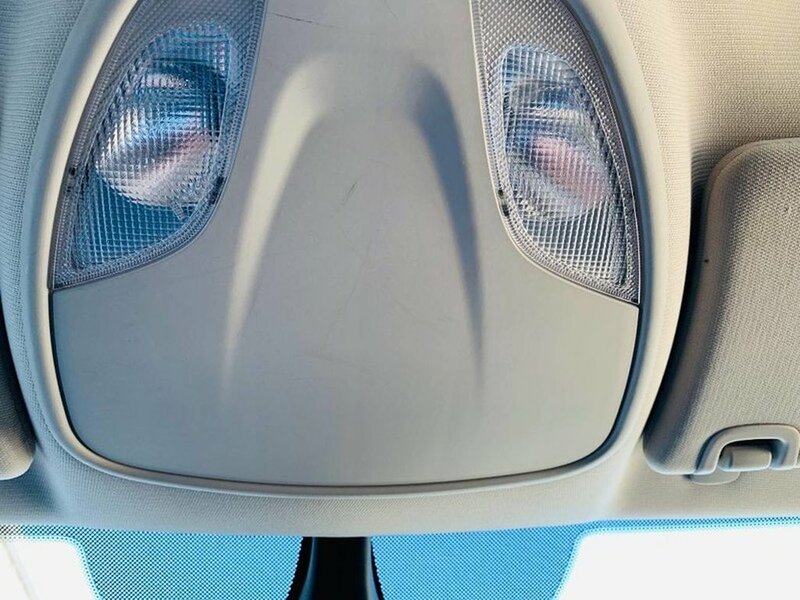 17-inch wheels, premium cloth seats, air conditioning, body colour door handles, 60/40 split/fold rear seat, security alarm, floor mats, floor console with fore/aft sliding armrest, rear seat armrest with cupholders, display screen in instrument cluster.